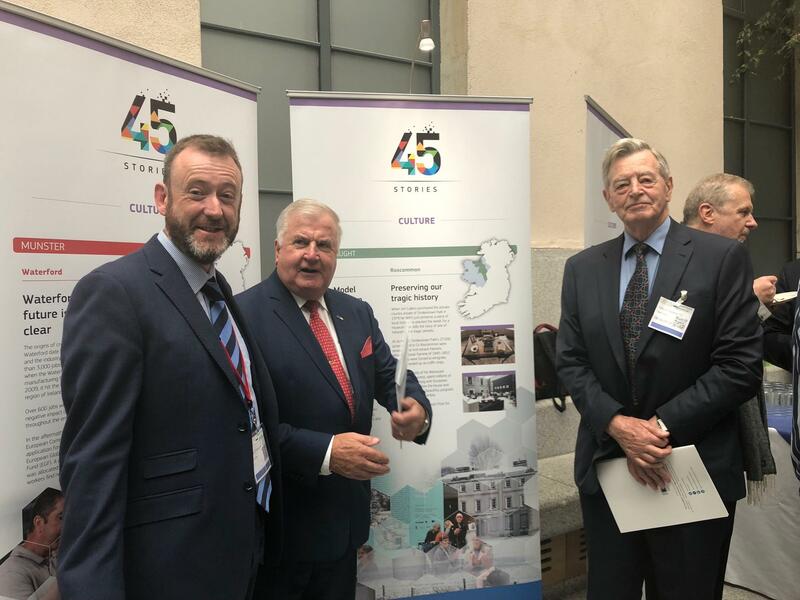 ﻿The Leas-Chathaoirleach of Seanad Éireann formally launched “45 Stories,” a travelling European Commission exhibition showcasing the many ways that EU membership has benefitted Ireland over the past 45 years. 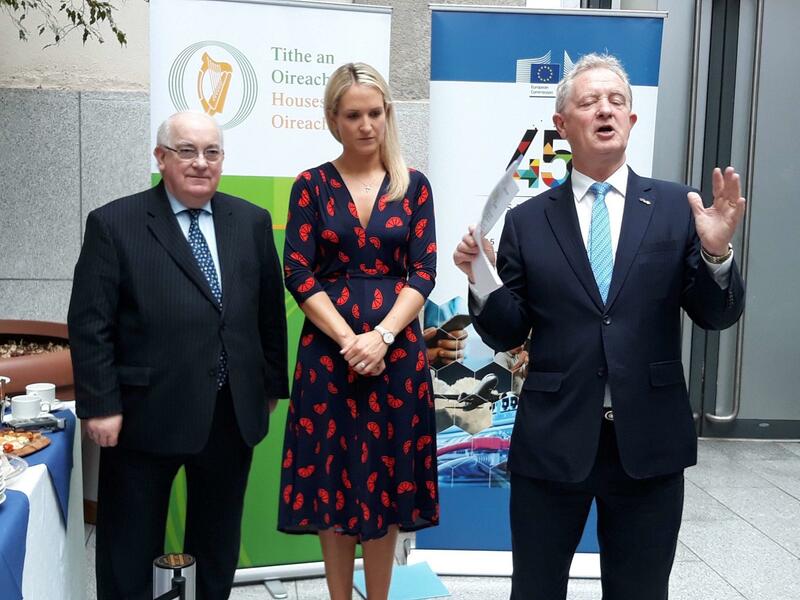 A number of the stories featured in the exhibition have benefited from European Regional Development Funding through the Border, Midland & Western Regional Operational Programme. 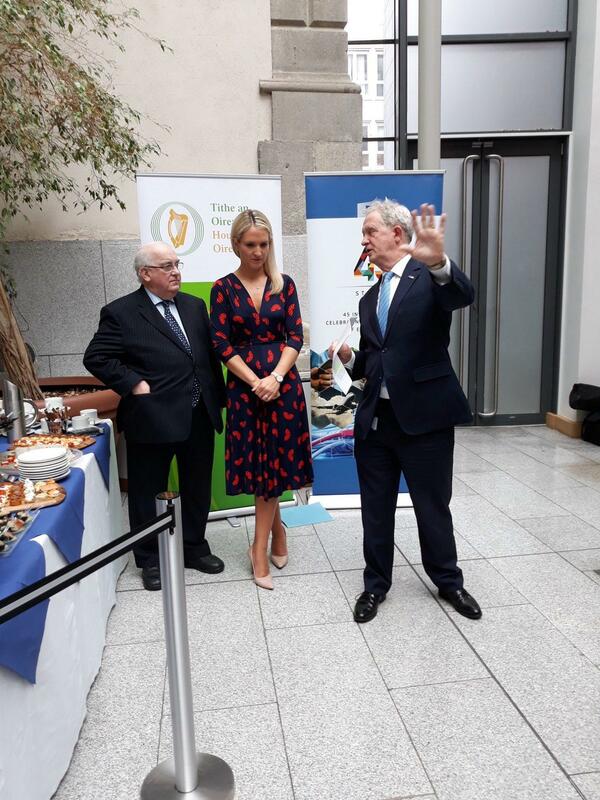 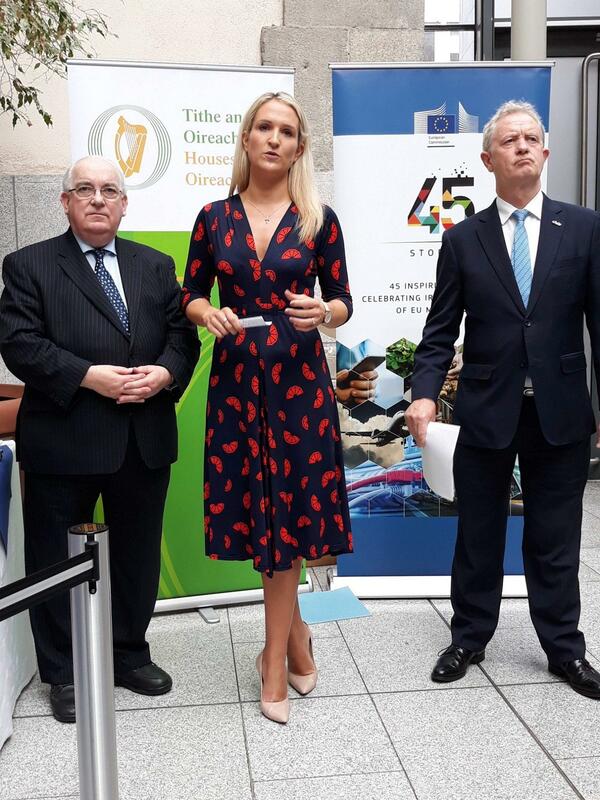 The event in Leinster House featured pop-up displays of content from the “45 Stories” booklet and speeches from the Leas-Chathaoirleach of Seanad Éireann, Senator Paul Coghlan; the Head of European Commission Representation in Ireland, Gerry Kiely; and European Affairs Minister Helen McEntee. 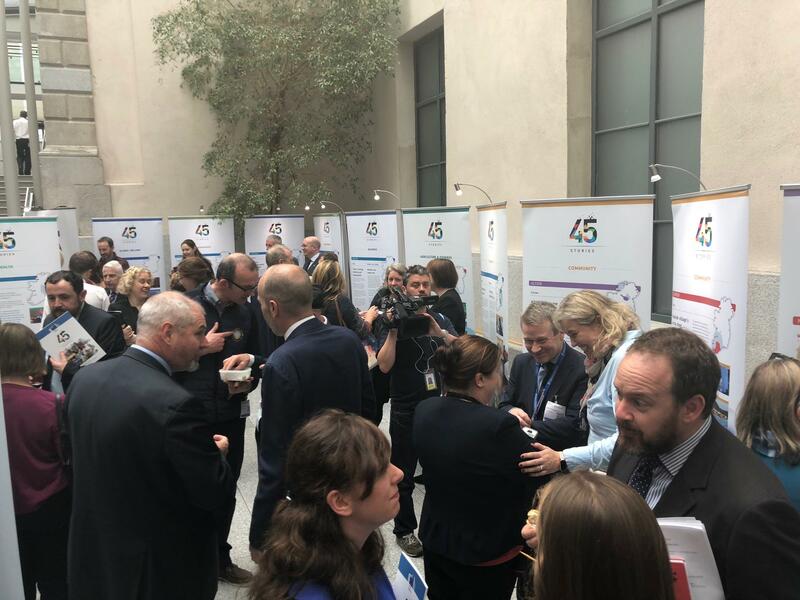 Citizens featured in many of the “45 Stories” also attended. 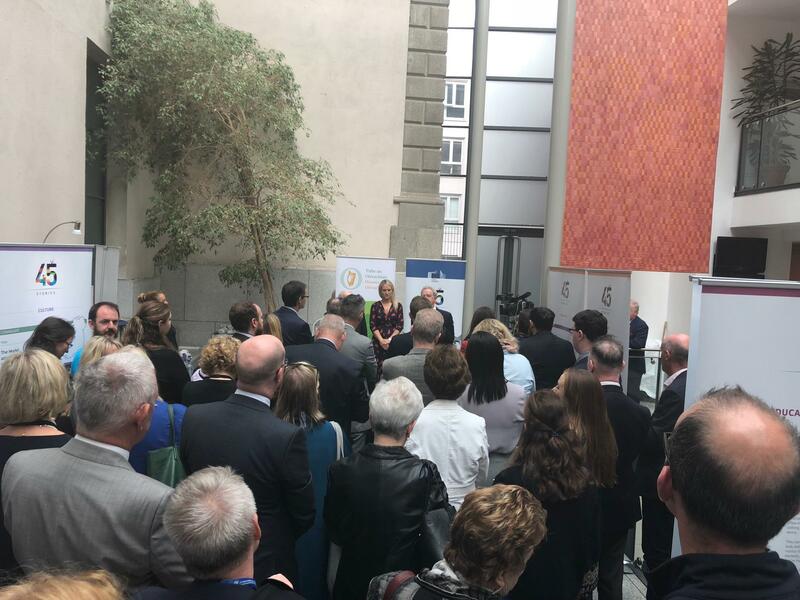 Gerry Kiely said visitors to the travelling exhibition and readers of the booklet would not help but be impressed by the sweep and scale of EU involvement in driving positive change for Ireland. 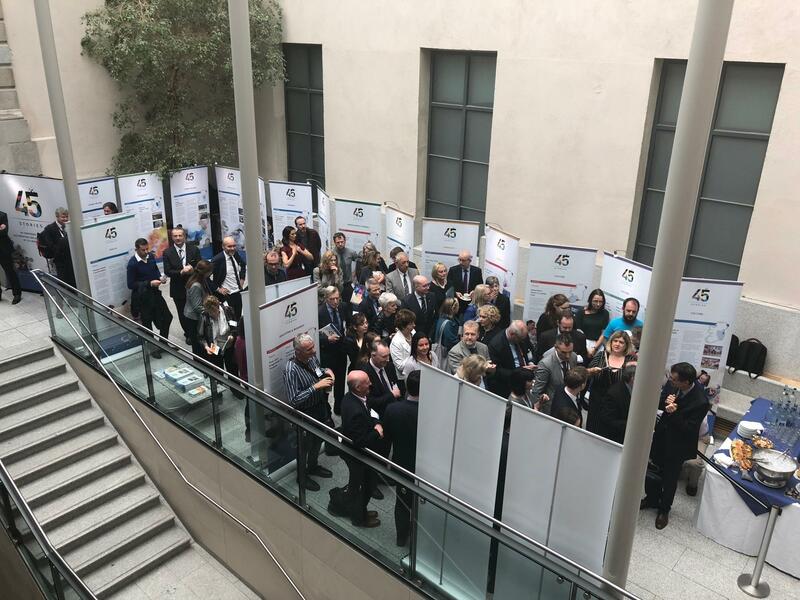 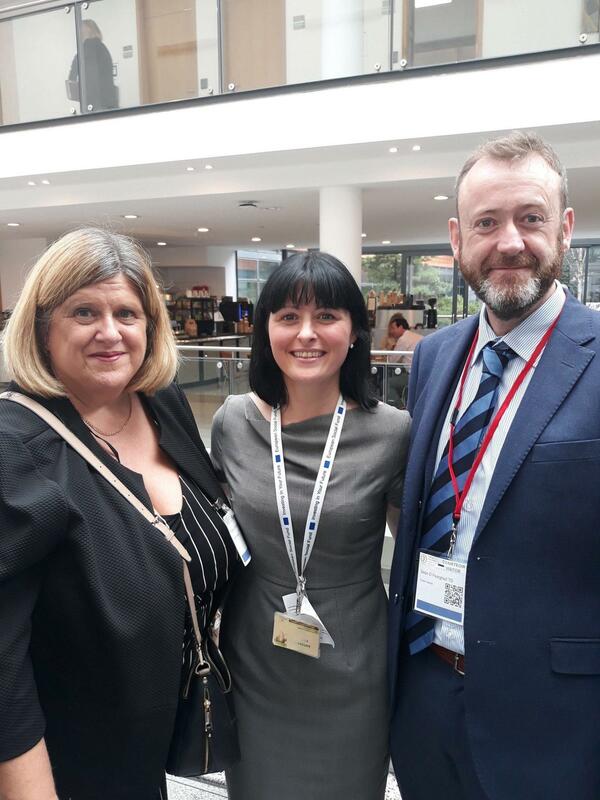 After the launch, Members of the Oireacthas had an opportunity to discuss the stories further with individuals featured and representatives from the public bodies involved in selecting and funding a number of the stories including the Northern & Western Regional Assembly. 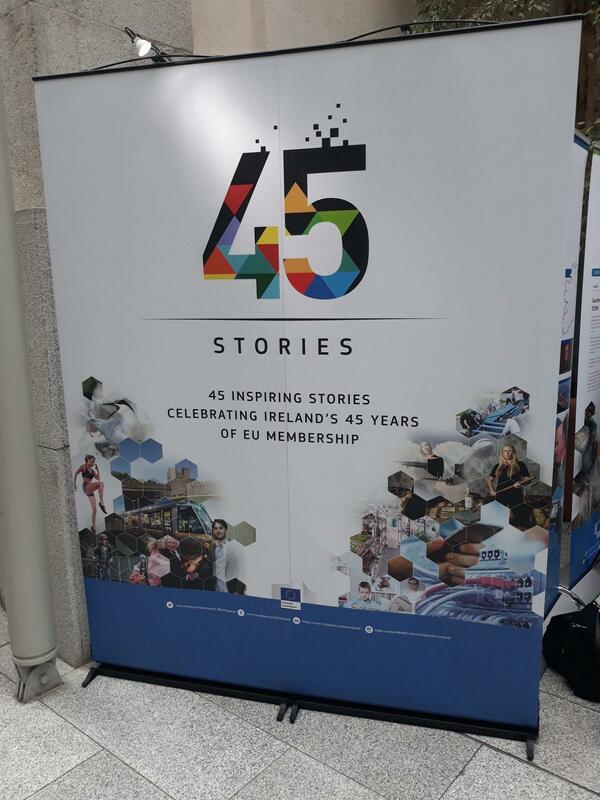 Download the “45 Stories” booklet here and follow the project on social media using the #EU45stories hashtag. 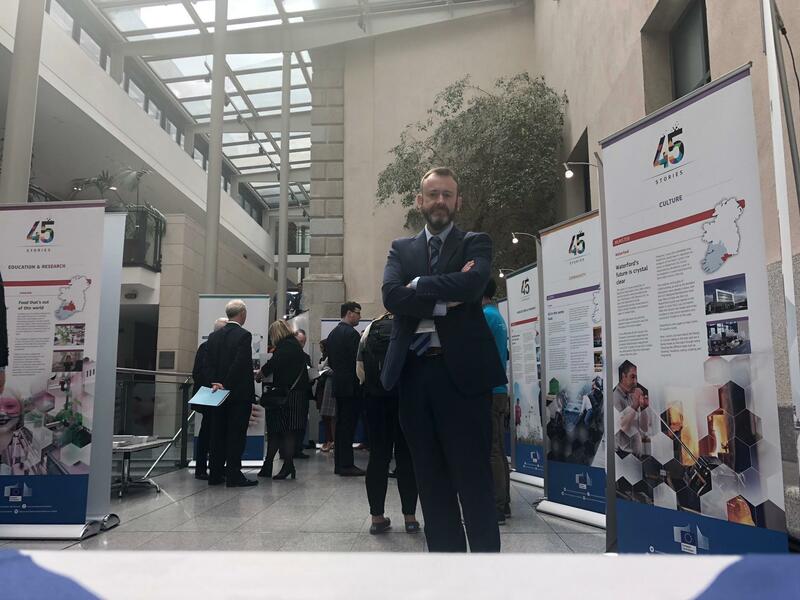 The “45 Stories” exhibition will go on public display from Thursday through the month of October in the European Commission office in Ireland on Mount Street Lower in Dublin 2. 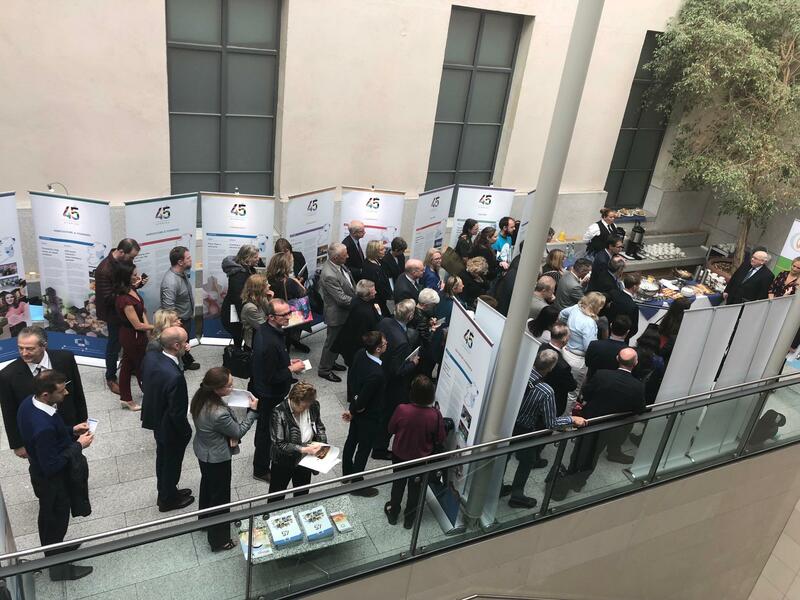 The exhibition will travel to Clones in November, Cork in December, Ballinasloe in January 2019, Blanchardstown in February, Sligo in March, Letterkenny in April, Nenagh in May and Waterford in June.